The monument, among the most interesting of the more than 50 works sculpted by Pietro Veronesi (1859-1936) at Certosa, is dedicated to the horse breeder Luigi Gallina, depicted in a realistic bust placed at the top of the work. On the base the artist sculpted a glimpse of daily life of the deceased, which has nothing funerary about it. Two elegant gentlemen on horseback in the foreground are preparing to take a ride, while in the background a soldier holds the reins of a third horse. 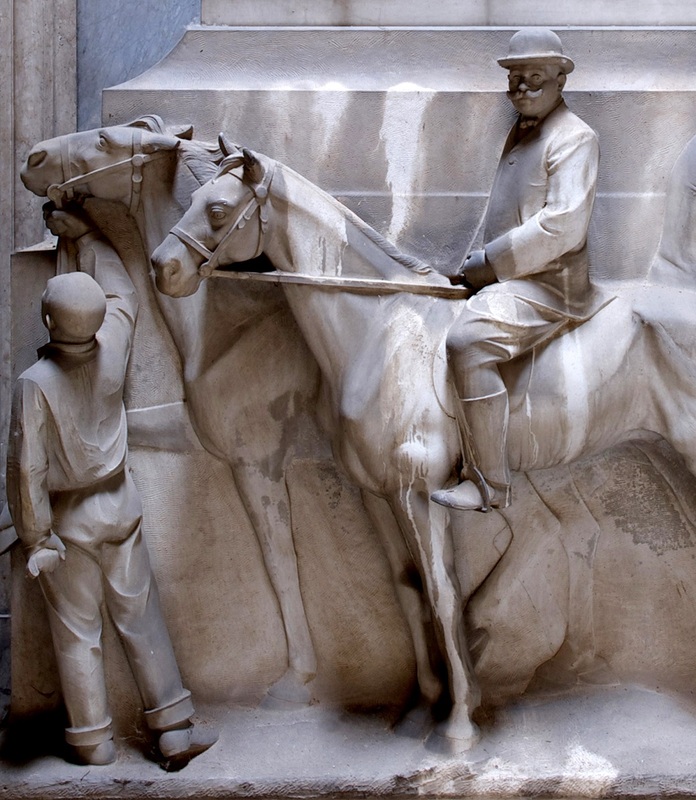 Veronesi was one of the artists who worked on the grand Montagnola staircase, making on 1896 the relief depicting the "Return from the Victory at Fossalta".